Dr. Suhail Beguwala has been practicing dentistry since 2005. He received his undergraduate education at University of California, Irvine where he completed a double major in Neurobiology and Studio Art. He then completed his dental degree from University of Southern California. Dr Beguwala’s background in Art and Science allow him to see dentistry from a different perspective. His eye for detail has allowed him to create beautiful smiles over the years. Dr Beguwala takes numerous continuing education courses throughout the year and feels it is imperative to stay at the cutting edge of dental technology. Dr. Beguwala treats his patients with respect and compassion and feels it is essential to provide them with a clear understanding of their dental health. He lives in Corona with his wife and two children and in his spare time he enjoys reading, listening to music and traveling. 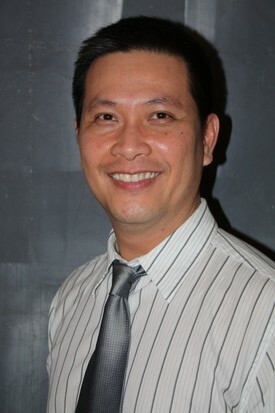 He looks forward to having the opportunity to serve you and your family. 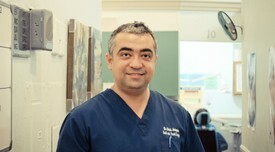 Dr. Aminpour graduated from New York University, College of Dentistry. He then pursued his interests in Oral and Maxillofacial Surgery at Woodhull Medical Center in New York. After completing the six-year residency program in Oral and Maxillofacial Surgery, he continued a one year fellowship in Orthognathic surgery at Swedish Medical Center in Seattle, Washington. Dr. Aminpour has been performing Oral and Maxillofacial Surgery since 1997. He is highly qualified to perform several major and minor Oral and Maxillofacial Surgery procedures including: Dental Implants, Bone Grafting,Wisdom Teeth Extractions, Facial Reconstructive Surgery, Corrective Jaw Surgery, Pathologies, and Facial Cosmetic Procedures. 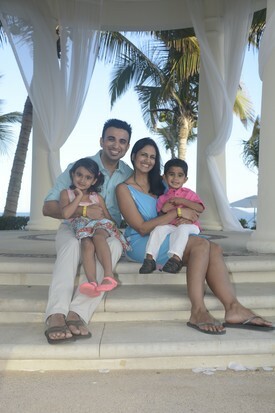 Dr. Aminpour enjoys spending time with his wife and four beautiful children.